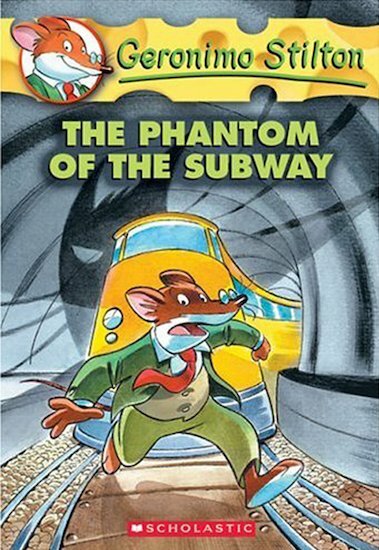 When my sister Thea told me a ghost was haunting New Mouse City’s subway tunnels, I knew I had to get the scoop for The Rodents Gazette! So I set off with Thea, Trap and my assistant editor Pinky Pick. We soon discovered that Sally Ratmousen, the editor of The Daily Rat, was also on the trail of the mysterious ghost. But we were all in for the fright of our wee mouse lives… because the ghost turned out to be a CAT!